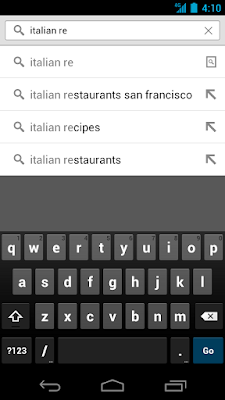 Google released updated Chrome app for Android devices with Full Screen mode, simplified search directly from omnibox like desktop version and tap history for Tablets. 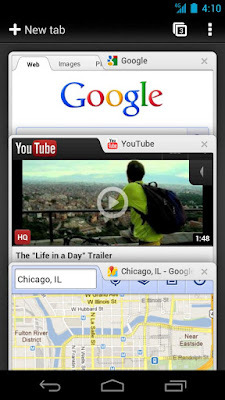 And also Chrome 27 comes with some stability improvements and bug fixes. The new Chrome 27 allows users view content in Full screen, when you scroll down your pages the tool bar will disappears and your content shows in Full screen. The toolbar will show automatically when you scroll up pages. 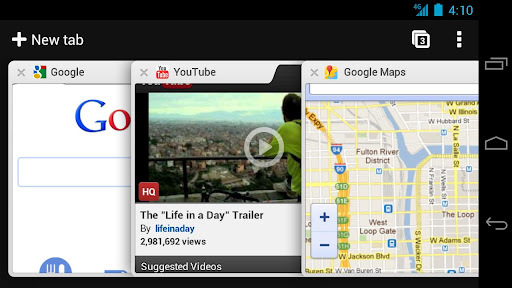 With new chrome 27 for Android, you can search directly from browser omnibox (address bar). This feature already available on Chrome desktop version browsers. And also the company introduces Tab history for tablet users, users can view their browsing history by long pressing back button on Chrome for Android.